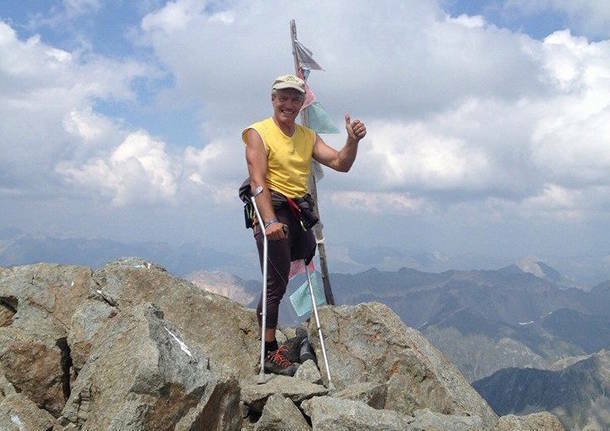 Oliviero Bellinzani, an 59-year-old Italian climber with one leg also known as “the Winged Man” , died on Friday after a fall. He was climbing on the Lepontine Alps in Switzerland. Mr Bellinzani had lost his leg in a car crash in 1977. His sport feats were widely publicized on the Net and on the social networks. Mr Bellinzani’s death was confirmed by the Italian Alps Club. Tags: climber, died, fall, Grauhorn, Lepontine Alps, Oliviero Bellinzani, one leg, Switzerland. Bookmark the permalink.